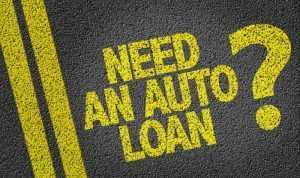 With good or excellent credit, or a score of 720 or higher, you can virtually name your terms when seeking good credit auto loans in St. Louis. There are no black marks on your credit (no late payments, etc.). Poor credit results from loan default, filing bankruptcy, many late credit payments, job loss, medical expenses, etc. It is not impossible to acquire financing with poor credit, but there may be challenges. Having an average credit rating means that you usually make payments on time but may have a few late ones and you may have too much credit. It is generally fairly simple to get financing with average credit. The last type of credit rating is not having any credit at all for used Volkswagen cars for sale. This encompasses first-time credit buyers with no credit history. No matter what type of credit you have, it is usually possible to buy a used car with dealership financing. If you have time and your credit is lower than you would like it to be, take the time to build it higher. A credit counselor is an excellent source of information on this topic. 5 Star Auto Plaza has a variety of financing options, including good credit auto loans in St. Louis. Call (636)940-7600 to speak with a sales representative.